In the few years I found myself sequestered in southeastern Ohio, I witnessed the exponential growth of the Nelsonville Music Festival, culminating with last spring's performances by the Flaming Lips, Neko Case and Yo La Tengo. Though my stomping grounds have shifted within the past year to a city with no shortage of music festivals, the lineup revealed today for the 2012 edition of the Nelsonville Music Festival will definitely warrant a trip back to my home state. 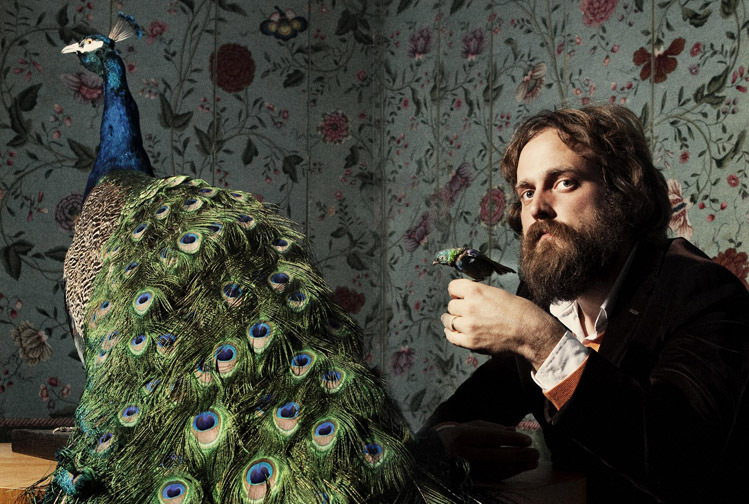 Leading today's roster was Iron & Wine, the constantly evolving folk-rock project of Sam Beam who will be an absolute pleasure to take in amongst the Appalachian foothills. Virtuosic guitarist M. Ward and psych rock legend Roky Erickson have also been confirmed for the festival, the former touring behind his newest record and the latter likely sifting through his extensive back catalog. Americana purveyors Dawes will bring their intricate harmonies to Nelsonville, while Charles Bradley will provide the Daptone Records-endorsed soul. Those with a desire for rock and roll will be satiated by Philly noisemakers Kurt Vile and Violators and the Sonic Youth-derived Lee Ranaldo Band. Other notable groups on the bill include experimental Minneapolis folk collective Dark Dark Dark and fellow veterans of the Portland music scene Sallie Ford & The Sound Outside and Horse Feathers. It's looking like another banner year for the Nelsonville Music Festival, and with months to go before the event, we're liable to see several more exciting additions to the lineup. This year's festival takes place May 18-20 in Nelsonville, OH and tickets are already on sale.